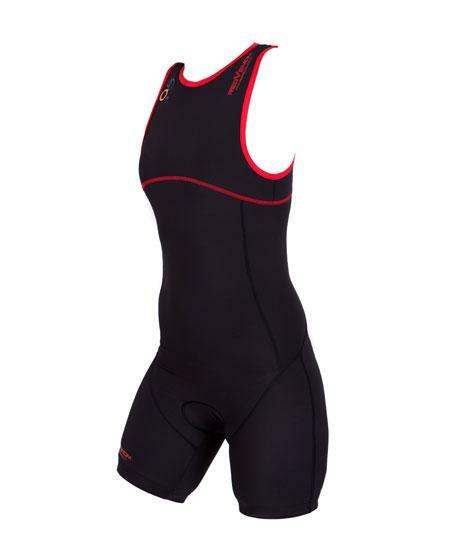 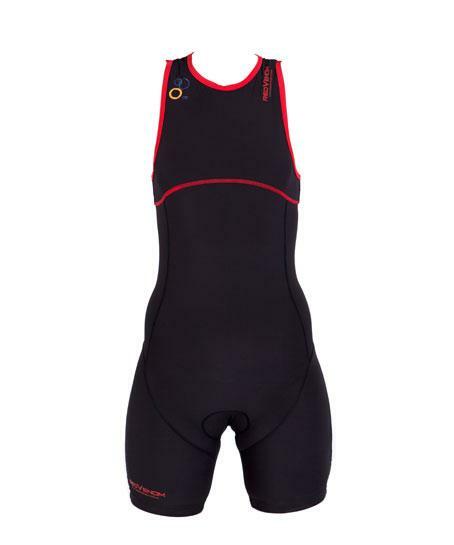 Here at Red Venom we have worked hard to create an industry leading ITU race ready womens Tri Suit, available at a lowest possible price point. 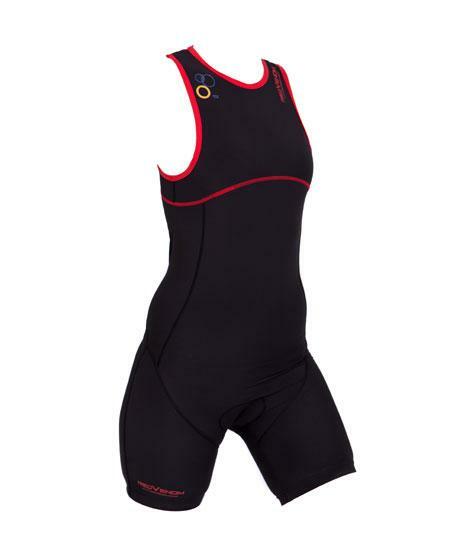 Our research and design team exhausted a number of materials and designs before perfecting our own high performance, high comfort suit designed especially for women. 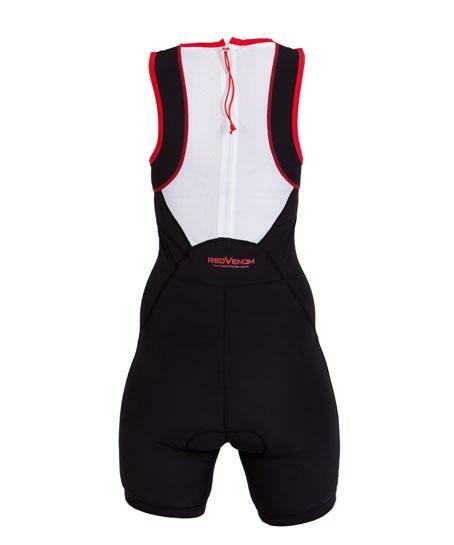 Constructed from lightweight water resistant fabric, the suit has a white mesh panel on the back to help keep you cool whilst racing, there is also a rear zip which meets current regulations.